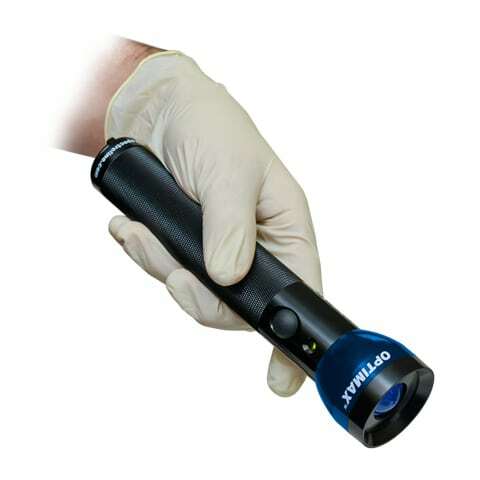 Features the super-powerful, portable and rechargeable OPTIMAX™ 450 LED flashlight. Ideal for crime scene investigation, gathering potential evidence and laboratory work. Internal dome lens ensures uniformity of light. Ideal for forensic photography. Electronic Intensity Stabilizer ensures consistent performance. Beam strength will not weaken between charges! Powered by rechargeable NiMH battery. Provides 90 minutes of continuous inspection between charges (smart AC and DC chargers included). 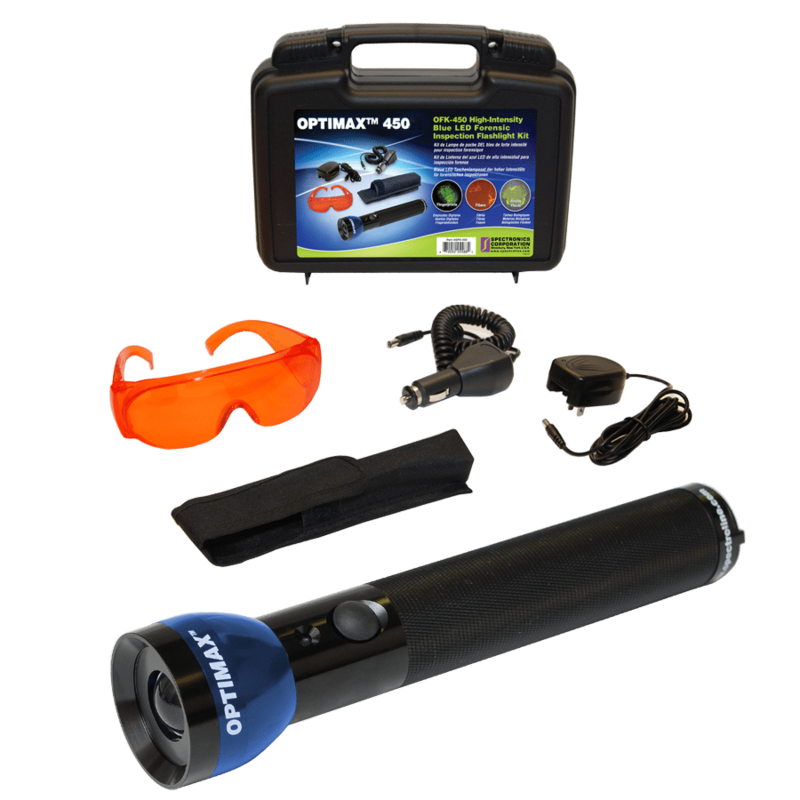 The OFK-450A Blue Light LED Forensic Inspection Kit comes complete with the OPTIMAX™ 450 inspection flashlight, smart AC and DC chargers, orange contrasting spectacles, belt holster and padded carrying case. AC charger available in 120V, 230V, 240V and 100V versions.